Purists say you shouldn't make mayonnaise in a food processor, only by hand. But we think this way's foolproof. 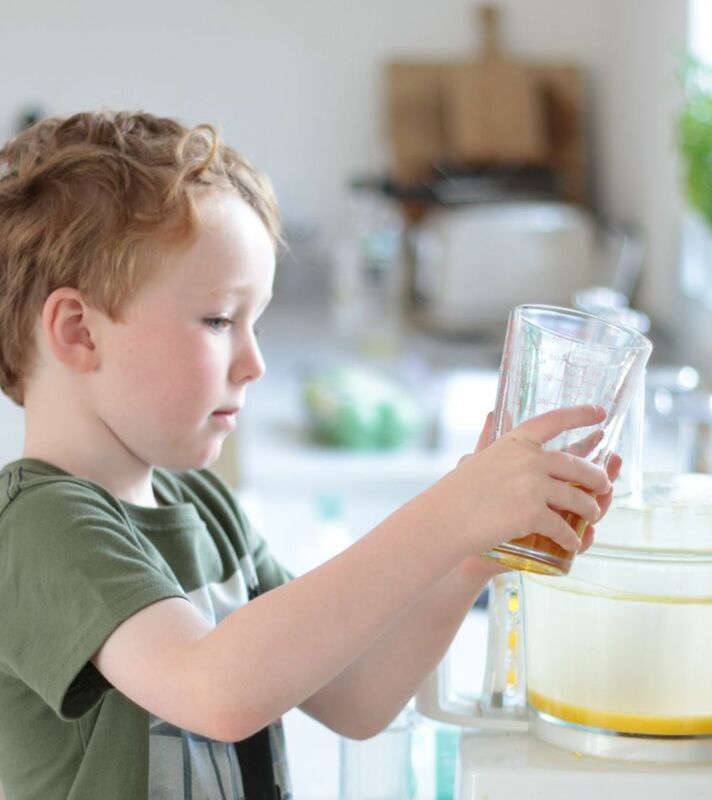 It's got no artificial nasties and 100 per cent more taste than jarred versions and kids like making it because it's like a science experiment watching the egg yolks emulsify. The whole thing takes 5 minutes from start to finish. 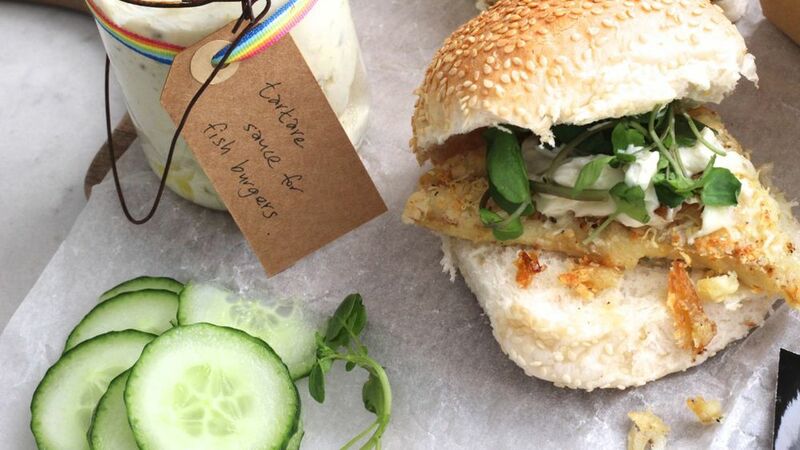 Once you've mastered making your own, you can flavour it with any fresh herb you fancy - try it, too, to make easy tartare sauce for our fish finger sarnies. All versions keep for a week in a screw-top jar in the fridge. Don't be tempted to up the amount of olive oil, or to skip the sunflower oil and just use olive oil - it tastes too strong if you do, so mostly flavourless sunflower is best. The only drawback is that you'll see first-hand how much oil is actually in it (gallons). It's not like you're going to eat the whole jar in one sitting with a spoon, though. 1. Show the kids how to separate the eggs (you can keep the egg whites and freeze them for another day). 2. Pop the yolks into your food processor using the smallest bowl it comes with and aiming to get the yolks coating the blade as much as possible. Add a pinch of mustard powder and salt to the yolks and get the kids to help you measure in the vinegar, too. 3. Now put on the lid, keeping the cover off the spout. With the motor running, begin to add the oil in a very thin trickle through the spout. And we do mean trickle. If you add it too quickly it'll curdle. You'll see through the spout that it'll gradually emulsify and thicken. 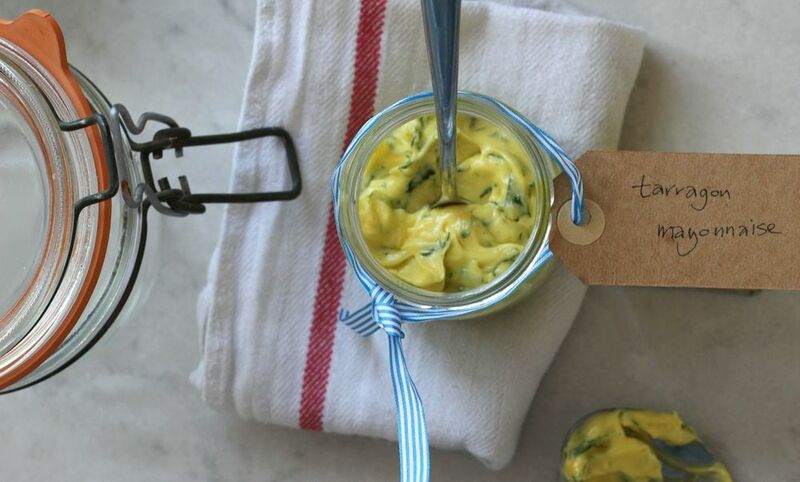 It won't take more than a minute to add the whole lot for a lovely yellow fresh mayonnaise. 4. Taste and check the seasoning, adding a little more salt, pepper or vinegar if you like. 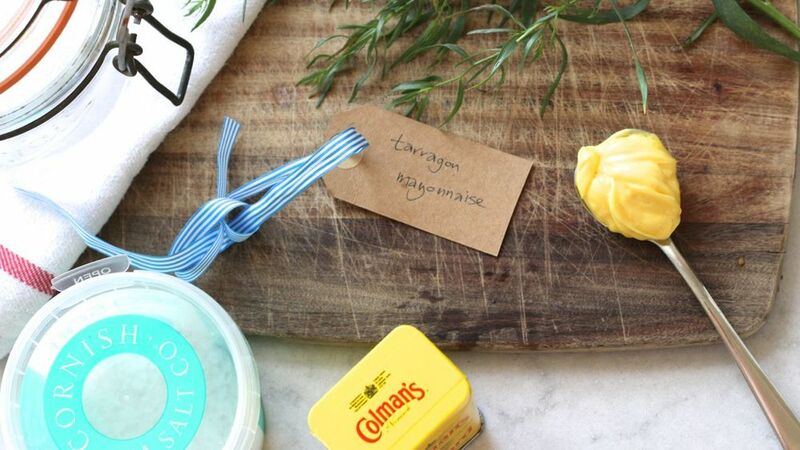 Stir finely chopped fresh herbs into the finished mayonnaise - try tarragon, basil, coriander, dill or flat-leaf parsley. Make your basic mayonnaise. Add 1 tbsp each of rinsed and finely chopped capers and gherkins, 1 tbsp of finely chopped flat-leaf parsley and 1 tbsp of finely chopped shallot. You will find this easiest if you chop the lot first in your processor then rinse and dry it and make the mayo in there too. Serve with our fish burgers.